File Recovery is the part of the Atola Insight system that provides file extraction from damaged or corrupted drives. It supports files extraction from all versions of the most popular operating systems: Windows, Mac OS X and Linux. While being a very powerful tool on its own, the File Recovery module in Atola Insight has even more power with the help of a tight integration with the imaging module – the process for disk duplication. During the imaging process, Insight not only copies data from one disk to another, but also analyzes the data and saves information regarding copied sectors and errors which were found on the source device. This information is used in File Recovery to find and extract a file's data and to provide additional information regarding file status. 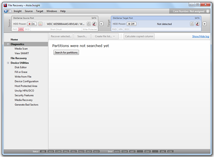 Atola Insight allows the user to select any supported media item attached to the DiskSense unit or host computer for file recovery. The user can also select any image file stored on any attached media item. Searching for attached media and selecting an item for recovery is quick and easy. In addition to ATA/IDE and SATA I/II hard drives, the File Recovery module supports most flash cards. 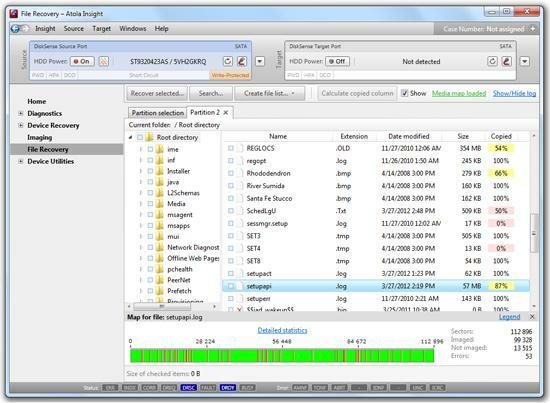 When a disk is imaged using Atola Insight, the File Recovery is able to show status of each file in the file browser, such as what percentage of file was imaged without errors. 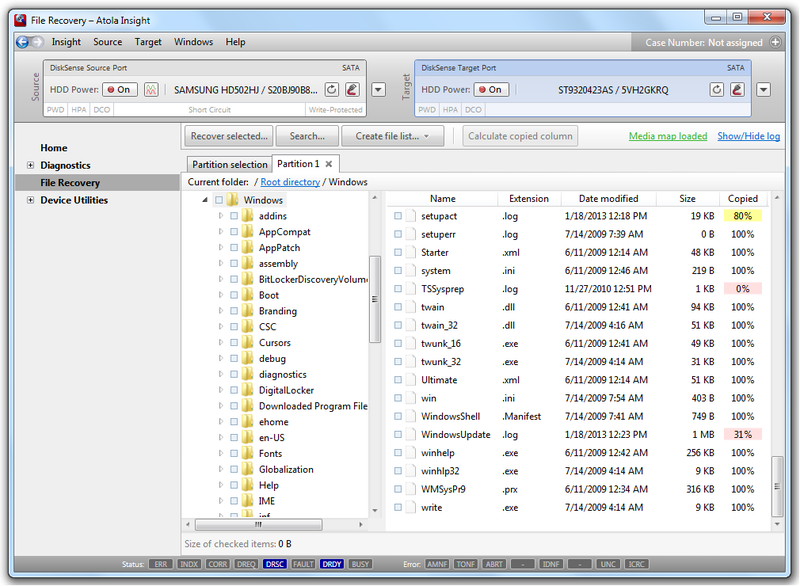 With just a glance you can see which files are damaged and to what degree. 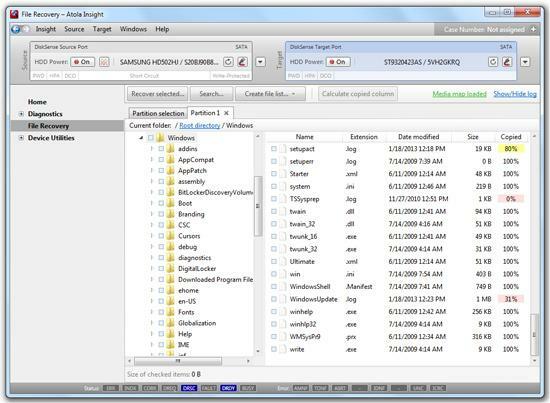 Atola Insight has the ability to create lists of files specifying the status of each file. After creation, the list may be presented to the customer for a review, and the customer will be able to tell whether all their important files are fully recovered or not. It is now very easy to find out the exact part of a file that wasn't imaged correctly. 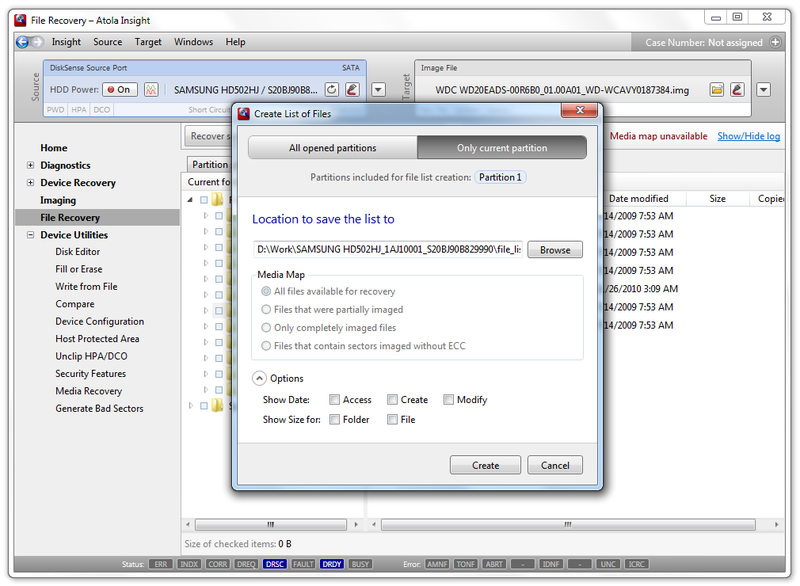 With one click, you have access to the file's sector map. In this map you will see a colored, graphic representation of all the parts of the file that were imaged correctly as well as the parts that were not imaged due to bad sectors, etc. It allows you to very quickly estimate the file's "health". After File Recovery is complete, a full report is automatically created listing files successfully recovered, files not successfully recovered, and files with skipped sectors. This report is automatically stored in the Atola Insight's case management system and can be printed by one click.